Click above picture for details in Chinese. 262-339-8518 for further information. 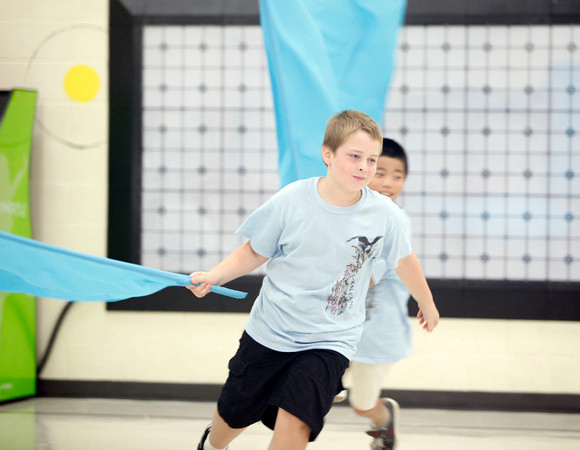 Customized curriculum for all students or different time schedule. the form and e-mail or mail it back to North American Chinese School). Congrats to Christine : Admitted to University of Wisconsin--Madison and passed 4 Levels of Advance placement Chinese. Congrats to Catherine : Awarded full research scholarship and Grant by US Government to study and work in China. Congrats to Sam : Admitted to University of Chicago and passed Advance placement Chinese. Congrats to our graduted students : Admitted to various Universities and became Chinese Teaching Assitants to various professors. Congrats to Shih-Chen : She is the present Chinese Language Instructor for Wisconsin High Schools, various academy schools, and North American Chinese School. Awarded best Chinese Principal for the State of Wisconsin by the government of Republic of China(Taiwan). Congrats to Chris Gan : Federal contractor for high school and middle school students,and business consultant for Asia and US Corporations. He holds the position of senior Export Sales Manager. Chris Gan represents a number of large North American Mills, Log yards, logistics companies, fumigation companies, and exports US commodities to East and South Asia, Europe and Middle East. He speaks fluent Chinese, English, and Malay plus communicate in Japanese. 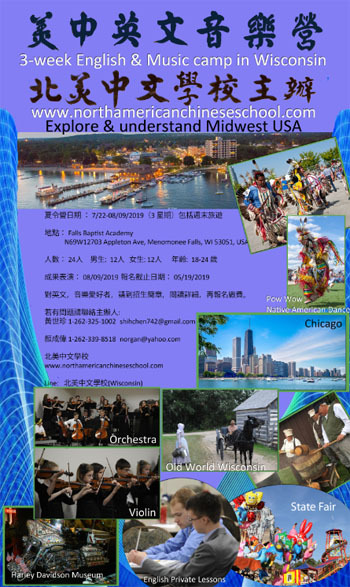 North American Chinese School, located at Grafton, Germantown, Menomonee Falls, Wauwatosa, and West Bend in Milwaukee County, Washington County, Waukesha County and Ozaukee County, Wisconsin, was founded in November 2011 with a humble beginning in West Bend, Wisconsin. Our objectives are not only to let our students to learn the Chinese language but also to understand Chinese and Asian cultures, to build great moral and friendship among our students, to know the importance of traditional Asian Ethics, to have great interest and fun in Chinese language. We also help American students, managers and companies to gain in depth cultural knowledges and language skills so that Americans can have comparative advantages in education, and in international trade. We are one of the very few schools in the USA to teach both traditional and modern Chinese to non-native speakers and native speakers. We understand and have many years of work experience with non-native speakers in the classroom and work environments. In addition, we teach both Chinese phonics "Zhuyin" and "Hanyu Pinyin". Thus, students get solid Chinese foundations, NOT confuse with American Phonics, and we develop the education curricula according to the students learning abilities. Our students read and write Chinese characters, Chinese "Zhuyin" and "Hanyu Pinyin" Phonics. Chinese phonics "Zhuyin" is Level 1 foundation and Chinese Characters are Level 2. It is like building a house, we need to have a solid foundation in a blue print, then we can build as tall and strong as you want and vice-versa. Without Level 1 and a good teacher, Chinese language seems to be very difficult to Non-native speakers. All our text books are cater to non-native and native speakers and are used in North America, UK, Australia, South America, New Zealand and many other countries. Each lesson builds solid confidence and encouragements to our students. We research, work with publishers and choose only the best books. Please go through the videos on the left. Our students range from 3 years old to 70 years old and from all walks of lives. We encourage everyone to pick up more foreign languages and not just Chinese. Since Asia has become a giant global trade bloc and for many years to come, Chinese becomes an important language. If you are interested in the Chinese language and willing to put in effort or if you study Chinese in other schools and find Chinese is very difficult to comprehend, North American Chinese School will be your partner and friend in the Chinese language. We understand both Asia and American norms, have many years of teaching and work experience in both Asia and US corporations, and all our teachers have at least US Master degrees. We teach with our hearts and provide quality education to develop your Chinese language foundation. North American Chinese School continues to bring quality and interesting education, diversity and international cultures to West Bend, Grafton and Wauwatosa communities in Southeast Wisconsin. We will open other schools in Wisconsin in the coming future. Thus, we strongly appreciate the continuous support from parents in Washington, Milwaukee, Ozaukee & Waukesha Counties, Wisconsin plus businesses and translation services from Wisconsin businesses and many other School Districts. We will also like to thank Pastor Mark, Pastor Franz, and other Church board members for the support at Community Church, Pilgrim United Church, Mt. Zion Lutheran Church in Year 2013 and years to come. North American Chinese School is also blessed by the support from the government of Taiwan, City of West Bend, West Bend School District, West Bend Chamber of Commerce, BNI Members, Wisconsin Economic Development Corporation, and articles from Washington County's Daily Newspaper, US Version Chinese World Journal, Epoch Times (Chicago and New York), and other media. Our teacher, Shih-Chen Huang, has great passion in teaching Chinese and in Early Childhood education. She has more than 10 plus years of teaching experience to both Native and non-Native speakers in US and in Asia. Shih-Chen Huang graduated in 1993 at Penn State University(State College)with a Master in Education specializes in Curriculum and Instructions. Students learn through Chinese classes, caligraphy, plays, and songs plus many other organized Chinese festivals in Washington and Milwaukee Counties. Chris Gan has great passion in teaching and tutoring Chinese, Maths, Global Studies and Science. Chris graduated from Penn State University(State College)and Univeristy of Wisconsin with a BSc in Finance, International Business and Management Computer Systems and a MBA in Decision Support Systems. We also have other experience teachers in our school. 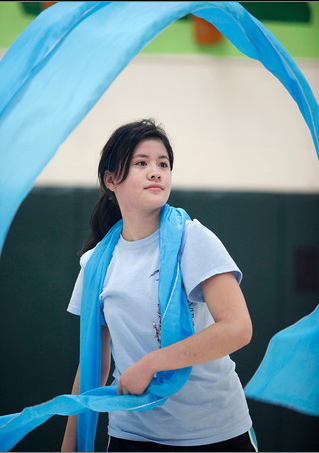 2012 North American Chinese Cultural Camp. Washington County's Daily Newspaper wrote articles about North American Chinese School on June 19, 2008, Nov 28, 2009 and Dec 11, 2009. We will like to thank Washington County's Daily Newspaper for its support. For tuition and further details, please click at Application Form Below and e-mail us back. If other time or day work for your children, please e-mail shihchen@northamericanchineseschool.com. We will re-arrange the suitable time for our parents and Adults. North American Chinese School had our 1st 2011 North American Chinese Cultural Camp from August 15 to August 19, 2011 at Green Tree School. With the strong support from parents, students, counselors from UW-Madison and Rutger University, volunteers and teachers from Milwaukee, and West Bend School District, our 2011 North American Chinese Cultural Camp introduced Lion dances, Ribbon dances, Fan & Flag dances, Chinese Yo-yo, Martial Arts plus Caligraphy, Chinese Chess, Language and Chinese Painting. 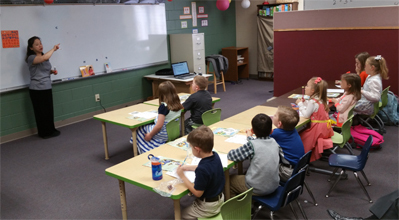 Our students came from Green Bay, Brown Deer, Brookfield, Florida, Shanghai, and West Bend. All of our students worked and trained very hard and learned many different lessons in this 5-day quality camp. The last day, all students have to perform to parents, teachers, the public and the principal of Green Tree School. The government of Taiwan sponsored 2 professional trained teachers with both national and internation awards in dancing, sports, and Chinese Yo-yo, Chinese dancing fans, ribbons, Chinese Yo-yo, masks, drums, and other tools. The Taiwanese government further gave aways bags of souvenirs to all students who attended this wonderful Chinese Cultural Camp. Not only our parents and audience recognized the first class quality education provided by the Taiwanese government and North American Chinese School, but also recognized the importance of Chinese culture, language and norms in today's ever changing world. We received great complements from parents and our local community for this wonderful event. Our goal was not only to give all students great happy memories in this 2011 Chinese cultural camp but also to understand the importance of diversity, hardwork, teamwork and persistency. We further wanted to give thanks to West Bend School District, School Board, Whitefish Bay Kung Fu Club, Daily News, Chris the custodian manager, Jonathan Kirn, Principal Katie Weyer of Green Tree School, and Superintendent Ted Neitzke for their great support. 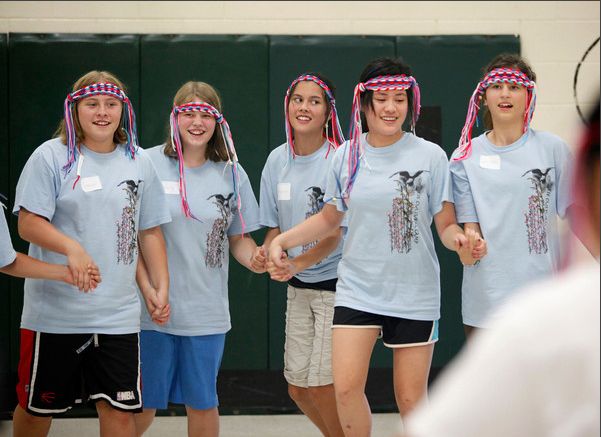 Our 2012 Chinese Cultural Camp was also a great success. We have 30 plus students and have a 300 plus audience from City of West Bend, government officials from Madison, US Military, parents, teachers and students from different universities, and the top officials from government of Taiwan. Come and join us for next year's 2014 North American World Cultural Summer Camp. All potential students and parents are welcome to visit North American Chinese School. a) Chinese is the most spoken language in the World. b) Chinese language and culture are interesting and fun. Copyright � North American Chinese School. All rights reserved.